San Diego (CNN) -- It can't be. The Republican Party's wise new sage on immigration is ... Mitt Romney? In a recent interview with Univision, the Spanish-language television network, the former presidential candidate -- whom some suspect may be gearing up to run again in 2016 -- criticized President Obama's use of executive action to temporarily re-prioritize deportations. Nothing new here, folks. Most Republicans posed the same criticism, even at the cost of looking like hypocrites for contradicting their George W. Bush-era views in favor of expanding executive power. One minute, Republicans are threatening not to work with Obama on any issue; the next, they're whining that Obama didn't wait around to work with them on immigration. And I thought elephants were supposed to have good memories. But there is more. In the Univision interview, Romney also said that permanent immigration reform was "badly needed" and urged Republicans in Congress to pass legislation that will make "more transparent" the process by which illegal immigrants can obtain residency. "Maybe even then," Romney said, "Republicans will swallow hard and say, 'OK, even despite the fact that we now have a stick in our eye launched by the President, we're going to go ahead and try and see if we can't make some improvements to the immigration system.' I hope we're able to do that." They tore into Romney, accusing him of capitulating to the left's demands for "amnesty." Meanwhile, some of their callers, who often seem to understand the issue even less, insisted that Romney supported "an open border." More than one right-wing commentator declared Romney's possible presidential bid over before it began. Of course, what Romney said is completely reasonable. The immigration system is broken, and Republicans should try to fix it. That's what leaders and lawmakers are supposed to do. Moreover, now that Obama has put Republicans in "check" with his executive action, the only move they have left for "checkmate" is to pass an immigration bill that is more substantial than his executive action. Republicans don't have to give away the store and provide millions of people here illegally with citizenship, complete with voting privileges. They can approve work permits, and couple it with border security and those guest workers for which their friends in the business community have such an insatiable hunger. And, in the ramp up to 2016, it wouldn't hurt the GOP to appear less hostile to Hispanics, both immigrants and the native-born. Republicans should think of passing immigration reform as an investment for the future. Still, there must be a mistake. You're telling me that Romney is sounding like a grown-up when talking about immigration? Who knew that was possible? In 2012, whether it was on the campaign trail or in debates with fellow Republicans, Romney often demagogued the issue to scare up votes from those who tremble at the thought that America is becoming more Latino. The former governor of Massachusetts said one wrong thing after another. Remember when he made that tacky joke with donors, suggesting that he might "have a better shot at winning" the presidency if he were Latino. Romney also promised that, if he were elected president and if Congress passed the DREAM Act — a popular piece of legislation with Latinos, which would have allowed undocumented students to stay in the country if they went to college or joined the military — that he would veto the bill. He attacked Texas Gov. Rick Perry for signing a law that allows illegal immigrants to pay in-state tuition at public colleges and universities. And then he blasted former House Speaker Newt Gingrich for proposing work permits for the undocumented and declaring that the GOP shouldn't split up families. Romney came off as cynical when his campaign put up a television ad that tried to discredit Perry by portraying him as chummy with former Mexican President Vicente Fox. And then he came across as hypocritical when it came out that, for all his fire-breathing against illegal immigrants, he had hired — to work on his house in Massachusetts — a landscaping company that employed them. While other candidates were going out and trying to get Hispanics to pick them, Romney seemed to go out of his way to pick on Hispanics. It's no wonder that Romney — who, ironically, had a father who was born in Mexico and a record of supporting immigration reform as Massachusetts governor — became persona non grata with Hispanics. On election day, the Republican pulled down only 27 percent of the Hispanic vote. Obama got 71 percent. Even after the election, Romney's Hispanic "offensive" still wasn't over. He had the gall in a post-election phone call with supporters to insist that the reason he did so poorly was because Obama gave Hispanics a bunch of freebies including Obamacare and "amnesty for the children of illegals." When a candidate gets into a hole this deep with any group of voters, it's almost impossible to get out. 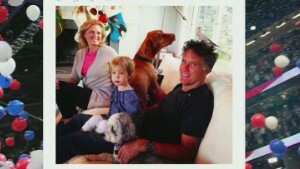 But, whether he runs for president again or not, Romney seems determined to try. And the first thing he's doing is taking on immigration with an eye toward solutions as opposed to soundbites. When it comes to this contentious issue, I have no idea what brought Romney to his senses. But whatever it is, let's hope that other Republicans are exposed to it — and that it's highly contagious.